Welcome to Best Western Plus Westchase Mini-Suites! 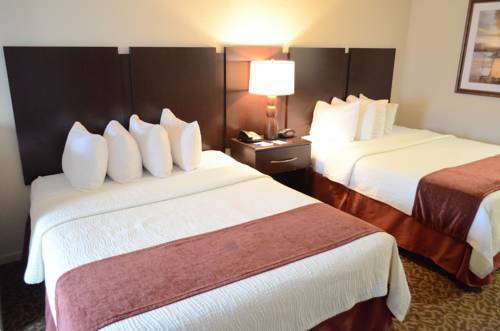 Our Houston hotel is only minutes away from City CENTRE, and the convenient location of our property is a big reason guests choose to stay with us. Enjoy incredible shopping at the nearby Houston Galleria Mall, or catch a special event at Reliant Stadium. At Best Western Plus Westchase Mini-Suites, the best of the city is at your doorstep. The Westchase District is full of incredible shopping, dining and sightseeing options, and it's a must-see for anyone visiting the region. From the Downtown Theater to the Toyota Center, the possibilities are endless. At Best Western Houston, you'll be treated to genuine southern hospitality from the moment you arrive. Houston hotels are known for their friendliness, but we set the bar high. Visit Sam Houston Race Park for a once in a lifetime afternoon or Minute Maid Park to enjoy the great outdoors and Texas sunshine. Our friendly staff members are happy to give you recommendations and tips to ensure your stay is the best it can be. The Best Western Plus Westchase Mini-Suites is your home away from home. Spacious, cool rooms and quiet corridors make for a relaxing stay no matter what brings you to the city. Business travelers with Halliburton, National Oilwell Varco, Veritas DGS and Honeywell are just a few of our regular guests. A central location means a short commute for business travelers and more time for leisure activities and sightseeing. Of course the Rodeo Houston is also a popular event that brings guests to our Houston hotel from around the country. Whether you're here for business or pleasure, or a little of both, getting a great value on a comfortable room starts off the trip on the right note. Our Houston hotel has everything you need and more for a stress-free trip. Reserve your next room at Best Western Plus Westchase Mini-Suites today! Enjoy your stay. From: I-10 /Katy Freeway. Take I-10 to Beltway 8 South/Sam Houston Parkway South. Exit on Westheimer stay on feeder and pass Westheimer and continue towards Richmond Avenue. The Best Western Plus Westchase Mini-Suites is on right behind IHOP restaurant. From: Hobby Airport. Take Airport Boulevard to Telephone Road/TX-S. Turn right onto Beltway 8/South Sam Houston Parkway E/s Belt Drive E slight left to take Sam Houston Tollway West ramp (toll ) Take Westheimer exit. Make a U turn under feeder go towards Richmond Avenue. The Best Western Plus Westchase Mini-Suites is on right side behind IHOP restaurant. From: IAH Bush Airport. Start out going west on Terminal Road N. Turn slight left towards US-59/I-45/Airport Exit. slight left onto JFK Boulevard take the Beltway 8 West ramp towards I-45. Make slight right onto N. Sam Houston Parkway E/Beltway 8. Merge onto Beltway 8 W/ Sam Houston Parkway W via ramp on the left towards I-45. Beltway 8 W/Sam Houston Parkway becomes Sam Houston Tollway W (toll here). 1.50 mile(s) from Restaurant Row, Full Service, American, Open for: breakfast, lunch, dinner, This area features a variety of upscale local favorites and franchise restaurants.